President Donald Trump gives his inaugural speech on the West Front of the U.S. Capitol on January 20, 2017 in Washington, DC. In today's inauguration ceremony Donald J. Trump becomes the 45th president of the United States. Donald Trump was sworn in as the 45th President of the United States shortly after 9 a.m. PT Friday morning. Trump voters were likely heartened to hear him re-emphasize his campaign themes - America First, a U.S. in economic distress, and a Washington awash in self-interest. But critics of the President likely didn't hear much outreach to them. 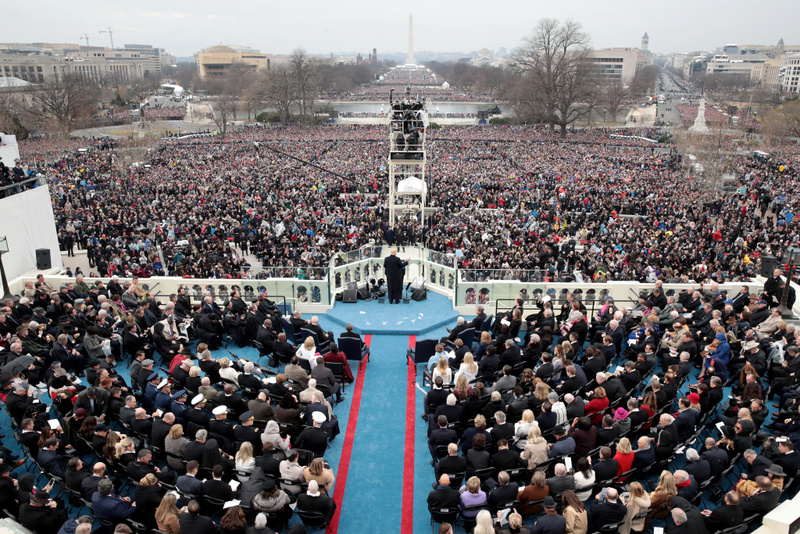 To them, his address sounded more like a campaign speech than the typical conciliatory tone of an inaugural address. KPCC listeners weighed in on the moment and the upcoming Women's March. 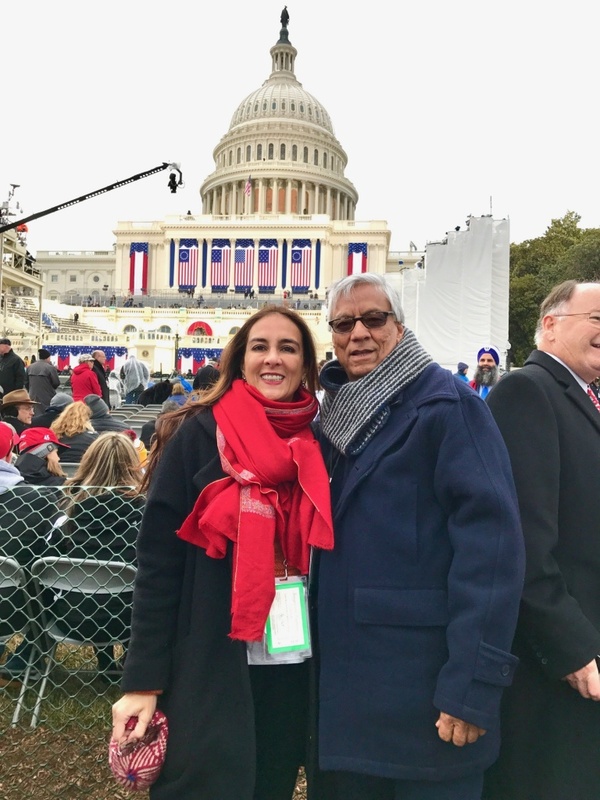 JANUARY 20, 2017 - Harmeet Dhillon, RNC National Committeewoman for California, and her husband Sarvjit Randhawa, in D.C. for the inauguration. 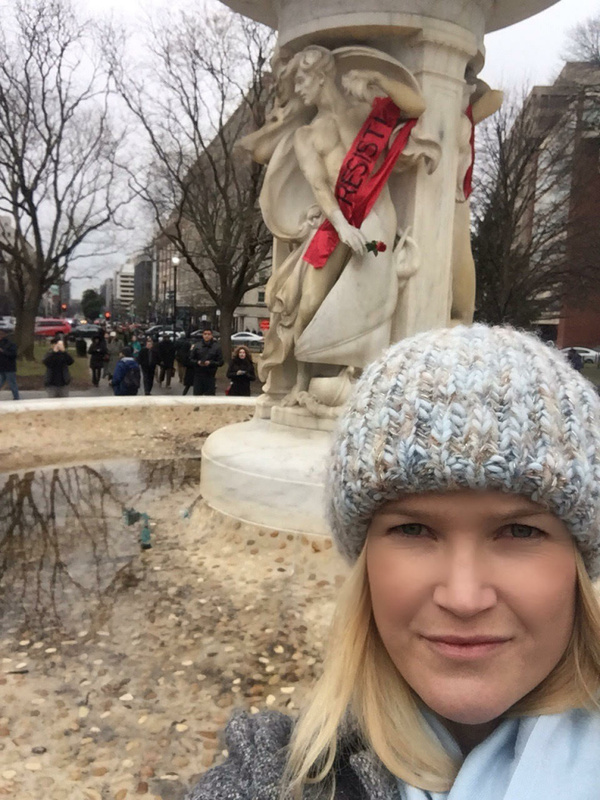 JANAURY 20, 2017 - KPCC listener Nicole àBeckett, in D.C. for the inauguration and Women's March. 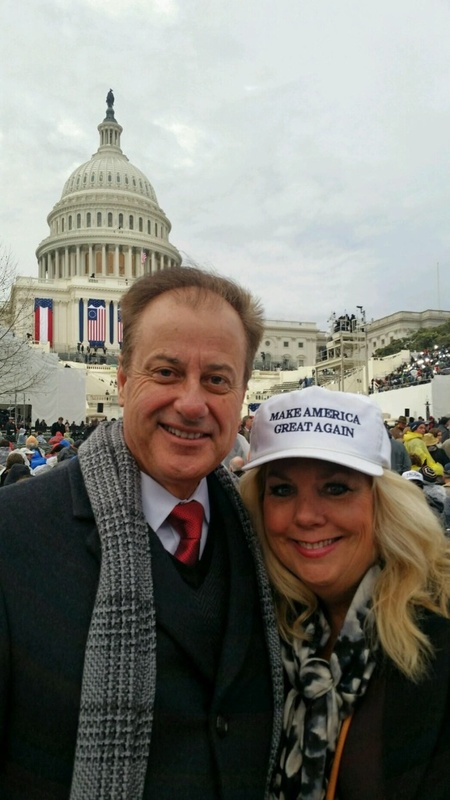 Tony Beall, Rancho Santa Margarita City Councilman and Jennifer Beall, former RNC delegate who ran the Trump Campaign for SoCal, in D.C. for the inauguration. “I would describe it as the exclamation point after many, many months of hard work. It was thrilling, and a moment that I will always treasure. What we got today was Donald Trump, the same man that gave his very first speech announcing he was going to run for president. What was so refreshing about now-President Trump from the beginning is that he is authentic, unscripted, and unabashedly proud of America and the American people. It wasn’t a partisan speech. It was a speech of big principles that Americans can get behind. He wasn’t elected President by Republicans, he was elected president by the American people. 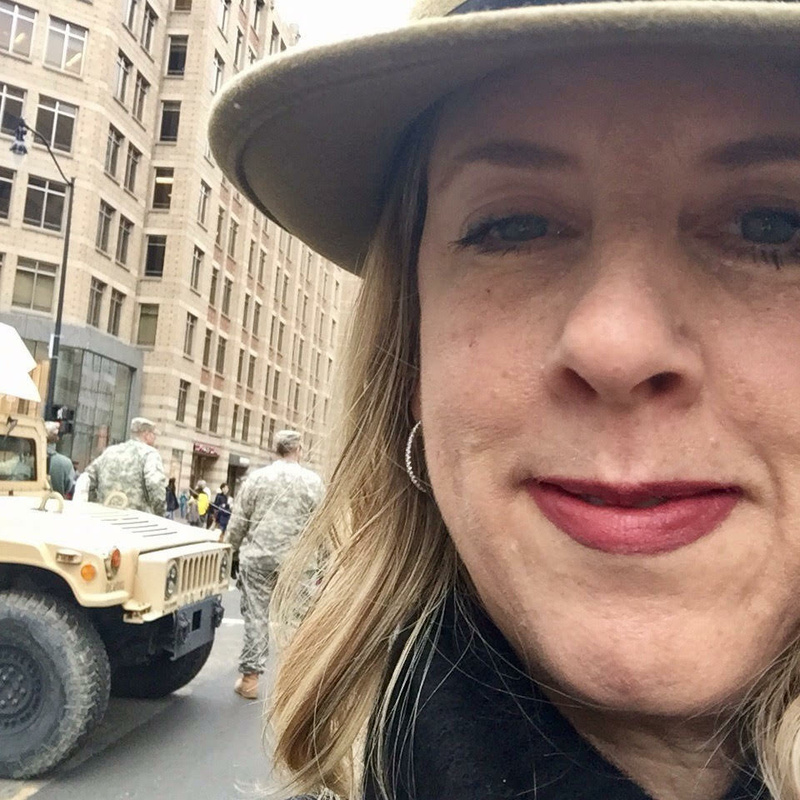 JANUARY 20, 2017 - KPCC listener Clare Sebenius on 18th street in D.C., heading to the Women's March pop-up show. 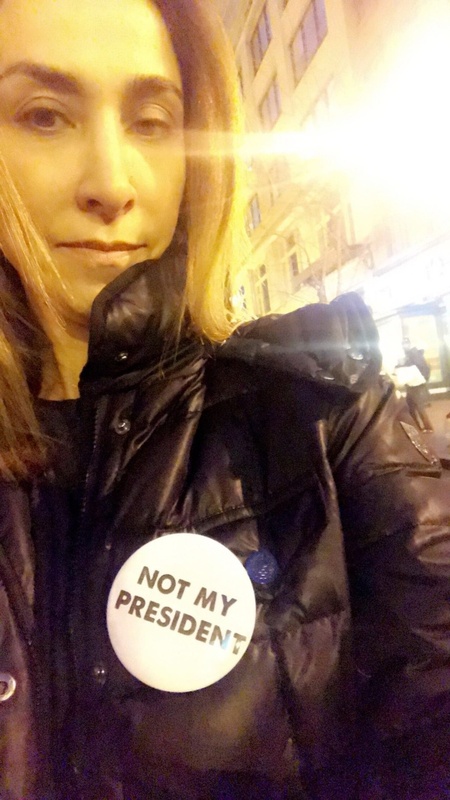 "I'm nervous, but I'm excited [for the March]. [I'm] feeling the magnitude of what's happening in our politics and feeling so much conviction about messages of inclusion and progress. That feeling of responsibility to get those messages out in a way that resonates with people and can... facilitate... productive dialogue as we move forward into this new administration." 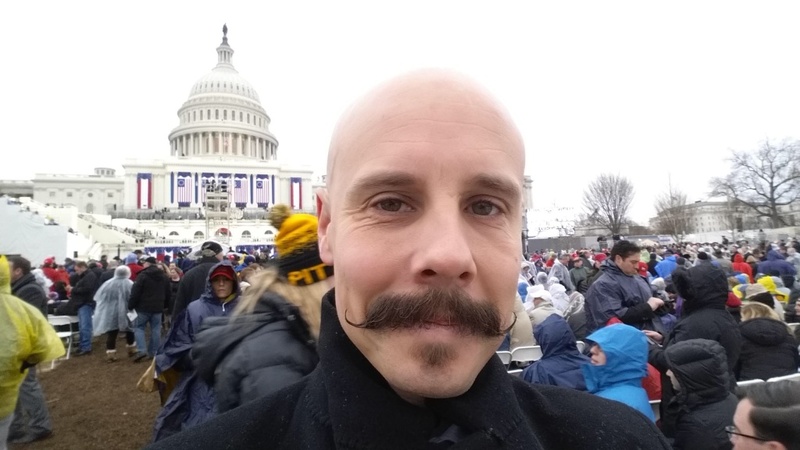 JANUARY 20, 2017 - Ben Clymer Jr., chief financial officer of the Body Shop & Collision Centers of Southern California, in D.C. for the inauguration. 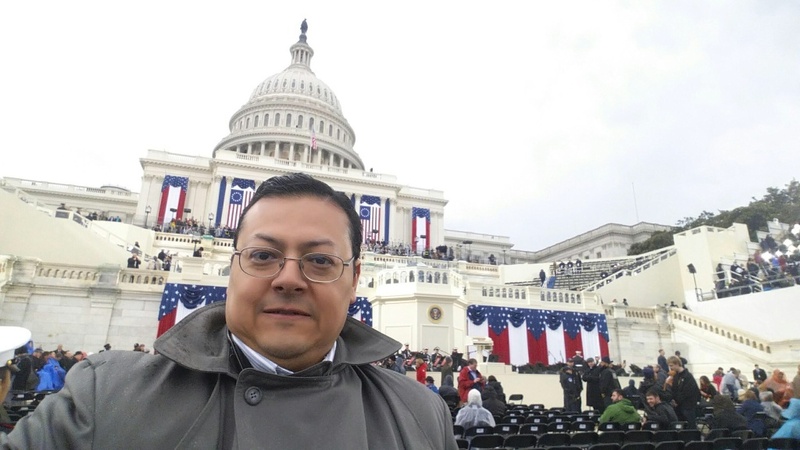 Photo courtesy of Ben Clymer Jr.
JANUARY 20, 2017 - Jack Guererro (R), Cudahy City Councilman, in D.C. for the inauguration. Photo courtesy of Jack Guererro. JANUARY 20, 2017 - KPCC listener Maryam Talaie, at the inauguration day protest in D.C.
On January 16, Maryam Talaie told Larry Mantle that she immigrated from Iran when she was a teenager, and though she considers the U.S. to be home, Nov. 9 was one of the hardest times for her in this country. She said attending the protest will be a way for her to stand up for what she believes in. 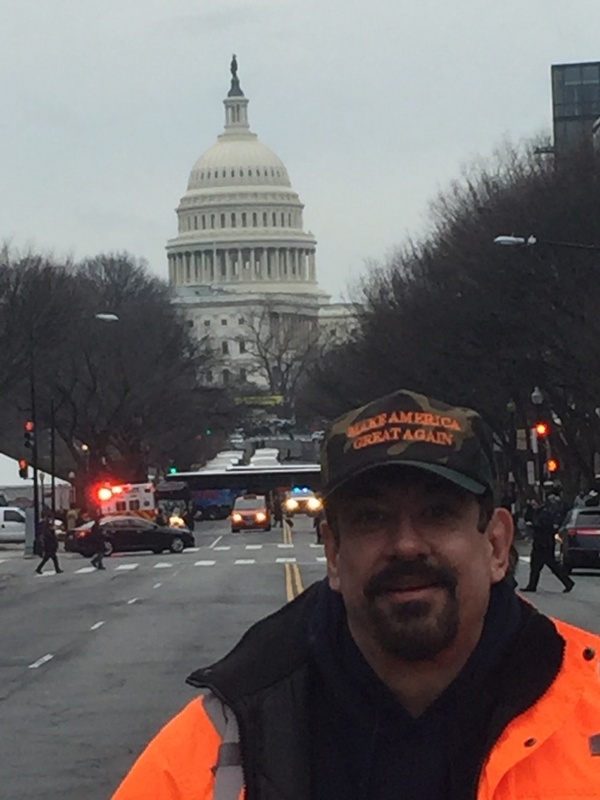 JANUARY 20, 2017 - John Goya, former treasurer for the Los Angeles GOP and president of California Great Again Political Action Group, in D.C. for the inauguration. What did you think? Call leave a comment below or tweet us @kpcc. Can Women’s March movement translate Women’s Day into actionable protest? Can the Women’s March become a sustainable political movement? It's Inauguration Day: Trump sworn in as 45th POTUS & TGI-FilmWeek!